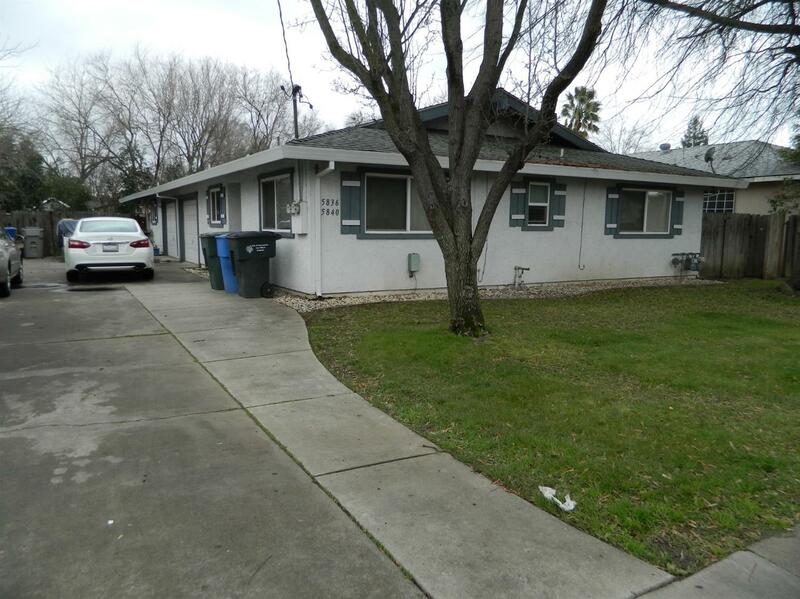 Fully rented duplex with long term tenant, across the street from Tahoe Park. Both units are 2 bedroom/1 bathroom. Well maintained with new fence and dual pane windows throughout. Each unit has it's own garage and yard. HVAC system was installed in 2013. Newer roof.